The popular holiday event is back and riding the rails into early January. Finding colorful and festive trains around the holidays? They're pretty plentiful, both on the big screen, where they're seen in an assortment of charming family films, and in reality, where historic engines take revelers on holly-bedecked adventures. But finding a profusion of model trains, handsomely attired for the season, isn't always as easy as finding rails in a movie or at vintage depot. Still, there are a few spots around Southern California where model trains play a pretty and highly watchable part of the yuletide fun. 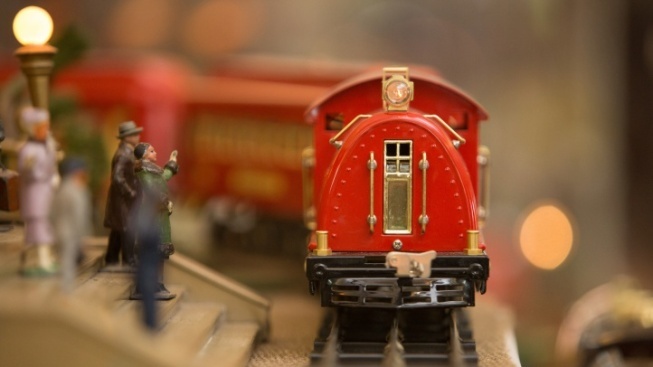 One such spot is the Richard Nixon Presidential Library and Museum, in Yorba Linda, where over 10 model trains are now toot-toot-ing before the wondering eyes of visitors in the "All Aboard, America! Holiday Train Display." It's a large-scale attraction, filling over 2,500 feet, with "hundreds of feet of track" to admire. The cost? Admission to the library gets you into the train display. That's $21 for adults, $17 for seniors, and varying prices for students and children. It's an annual and well-attended tradition at the library, one that "... reflects President Nixon's love of trains that began in his Yorba Linda childhood." Waiting too long to spy this sweet scene? Best not, as all of those little chugga-chugga-ing trains'll soon ride out of sight. The final day is Tuesday, Jan. 8, 2019.